Last year we successfully processed 7.3 million transactions, and have transferred more than €1 for every man, woman and child on this planet. We currently have hundreds of thousands of customers with an annual turnover of over €1 billion. Our customers trust what we do and are happy to refer us to others. We have achieved extraordinary growth by being at the front of innovation and offering amazing customer service. 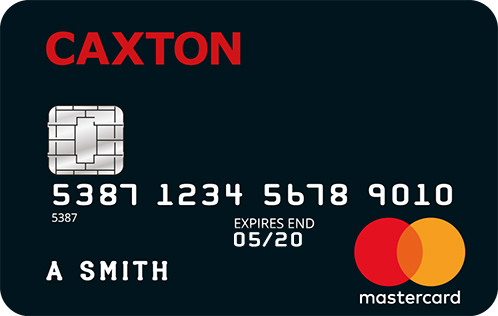 We were the very first FX company to provide online international payments, and launched the first currency card free of all POS fees and ATM withdrawal charges when used overseas. Our innovation does not stop there; we have developed state of the art systems which help us achieve highly competitive FX pricing for our customers, effectively and efficiently. Unlike our competitors we do not pay any commission to our account managers. This means you can be guaranteed a pressure-free trade and an independent view on how you can get the best value from your exchange. 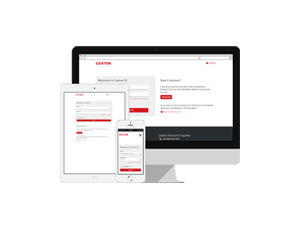 Caxton FX is regulated by the FCA under the FSMA 2000 and the Payment Services Regulations. All client funds are held as ‘client money’ in designated client trust accounts at EU institutions and are ring-fenced to safeguard them in the case of a financial crisis. Caxton undertakes rigorous daily reconciliations of its client accounts to ensure client funds are held safely and to comply with its regulatory obligations. The team that makes it all happen has integrity, commitment and, above all, a desire to help. With a mixture of skill, talent and expertise, every team member is dedicated to providing excellent service to clients. Rupert is the founder and CEO of Caxton FX, the international payments company. From a bootstrapped startup in 2002, he has driven the Caxton business towards being one of the UK’s finest entrepreneurial success stories. Prior to establishing Caxton, Rupert launched a number of successful innovative businesses in the finance and media sectors, all with a focus on new technology. Rupert is now innovating payment solutions by investing in smart blockchain tech both within Caxton and in other businesses. Keen to champion today’s technology entrepreneurs, he regularly features in the press and speaks at industry events. Prior to joining Caxton FX, Jane-Emma had a successful career in newspapers, most notably doubling advertising revenue over three years at both Financial Times Business and Financial News. Jane-Emma’s role at Caxton FX sees her head up people operations and people management at a senior level. This includes staff recruitment, development and engagement and setting operational initiatives which support both client service excellence and the founding principles of the business. Roger joined Caxton FX as a non-executive director in 2012; he had a very successful career with Barclays Bank and was also CEO of Switch (the UK's original domestic debit card scheme) and President & CEO of Elavon’s European Merchant Services’ business. Over the last 12 years, Roger has held a number of non-executive positions on public and private boards on both sides of the Atlantic including other companies regulated by the FSA. Tim joined Caxton FX as a non-executive director in 2012 bringing with him senior level experience in media, software, IT and financial services. Tim was an early employee with Logica, where he held numerous senior management positions in the UK and overseas. Formerly a non-executive director of The Chesham Building Society, he now holds a portfolio of non-executive chairmanships and directorships and is currently Chairman of Six to Start Ltd and Clarinet Ltd. He is also Venture Partner to the National Endowment for Science, Technology and the Arts (NESTA), a leading investor in early-stage technology companies. Interested in working at Caxton? Find out about any available Roles or discover what it means to work for Caxton.